Samsung Electronics has inked a deal with both Apple and LG to supply advanced DRAM memory chips in next-generation iPhones and the LG G4 respectively, according to sources "familiar with the deal" for The Korea Times. The deal, rumored to be worth billions of dollars, would see Samsung produce at least half of the memory chips that Apple would need for its next-generation iPhone lineup. The report claims that Apple could ask Samsung to ramp up manufacturing of the chips if needed, with the alleged contract lasting at least a year. "Under the agreement, Samsung will start providing LG Electronics with 100 percent mobile DRAM chips it needs for LG G4 smartphone, which will be unveiled in April. Also, Samsung will handle at least half of the amount that Apple needs for its new iPhone ― tentatively named iPhone 6S," an industry official who is familiar with the deal told The Korea Times. The agreement was reached just a few months after Samsung began mass production of new 20-nanometer 8-Gigabit LPDDR4 memory chips, which are said to offer more than double the density and performance compared to its 4-Gigabit LPDDR3 predecessor. The sources say that on the LG side of things, Samsung will be providing 100 percent of the chips for the company's flagship G4 smartphone, set to be unveiled in the Spring. Though Apple and Samsung have partnered in the past for manufacturing purposes, the two companies have been fierce rivals for several years. The two companies have dropped litigation against each other outside of the United States in recent months, however, and this agreement further suggests that the tech giants have an improved working relationship as of late. While not expected to launch until September, news and rumors about the so-called "iPhone 6s" have begun circulating recently, with Samsung reportedly responsible for the majority of A9 chip production based on its 14nm process. 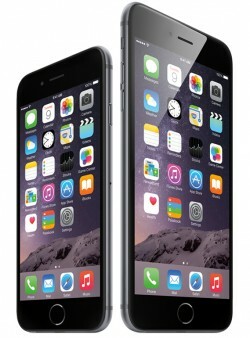 Conflicting reports suggest that TSMC may supply Apple with the remaining chip orders. I don't get why Apple relies on others to keep them going when they got all this money sitting in the bank that they can use to build their own manufacturing plants. Talk about being a cheapskate. Because no other fabricator can produce the quantities apple needs at the costs they expect. Apple: We'd like some 2GB chips for our new iPhones please. Samsung: Sorry, we can only do 512Mb and 1GB at the moment. I love these kinds of threads. Some people get so offended that Samsung supplies Apple with parts for their iPhone's. Try to be a little understanding, this is a very traumatizing experience for them. To some people, Apple is synonymous with God, and when they read that God is relying on lower life forms to produce the next Godly device, it shakes their core and they question their very existence. The fact that you imply Apple is being a cheapskate for not making their own memory chips illustrates that you know very little about business 101. It's called acting responsibly with the money that Apple worked hard for. More than entering the auto manufacturing industry? There is risk, and there is reward. What would be the reward from building a memory chip factory when Apple can easily buy the chips, other than pleasing the fanboys? But, but... Samsung is evil. Do you feel somewhat "superior" ? Did you recognize yourself in my post? Apple: We'd like some 128 and 256GB chips for our new iPhones please. Samsung: Sorry, we can only do 8 and 16GB at the moment. Uh, these chips Samsung is supplying is not for permanent storage. Do you have chickens in the garden to supply your eggs?